Dr. Caleb Hickman is a Supervisory Fish and Wildlife Biologist at the Eastern Band of the Cherokee and Chair Elect of the Wildlife Society’s Invasive Species Working Group. 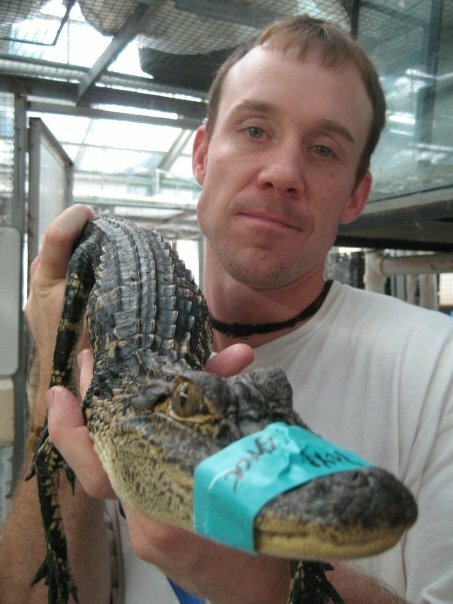 Caleb is also an Adjunct Professor in the Forestry, Wildlife, and Fisheries Department at the University of Tennessee. He received his Masters in Biology from Missouri State University and his PhD in zoology from the University of Wisconsin at Madison. Caleb is with us today to tell us about his journey through life and science. Caleb’s career has taken him from mountaintops and deserts to swamps and estuaries. Caleb grew up in the Cherokee Nation of Oklahoma where he learned to enjoy the outdoors. He attended Missouri Valley College for his bachelors, Missouri State for his masters and the University of Wisconsin for his PhD. Caleb’s experiences from blue-collar field biologist to academic ecologist have shaped both his approach to science and how he interacts with people. From his childhood until now, he has learned the value of combining ancestral culture with wildlife conservation, and is now poised with an opportunity to accomplish these goals.